It's a little bit summer, a smidgen fall and a whole lot I'm-scared-of-winter around here right now. Which means a mix of warm weather foods and comforting fall soups. 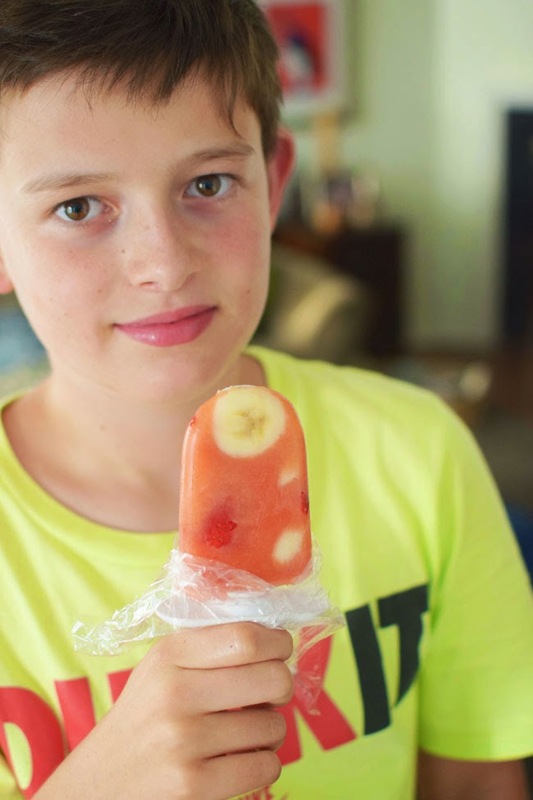 Distinctly in the summer category - the fruity ice pops we made recently in the Zoku. I took my recipe for Strawberry Peach Green Tea Ice Pops and changed it up a bit. Instead of green tea, I used water (I was rushing). I also added half a banana into the mix, and included slices of strawberry and banana to perty it up a bit. My friend Veganopoulous has been spending this Vegan Month of Food (Vegan Mofo) experimenting with all kinds of vegan recipes in the hopes of getting her two lovely kids to eat them. I had a small success in the feeding children category myself recently. My kids love mashed potatoes, so I decided to make Cauliflower Mashed Potatoes from The Oh She Glows Cookbook. I made the risky decision to tell them there was cauliflower in there, but they loved it anyway. And so did I. You can't really tell it has cauliflower, except for the odd unmixed chunk. 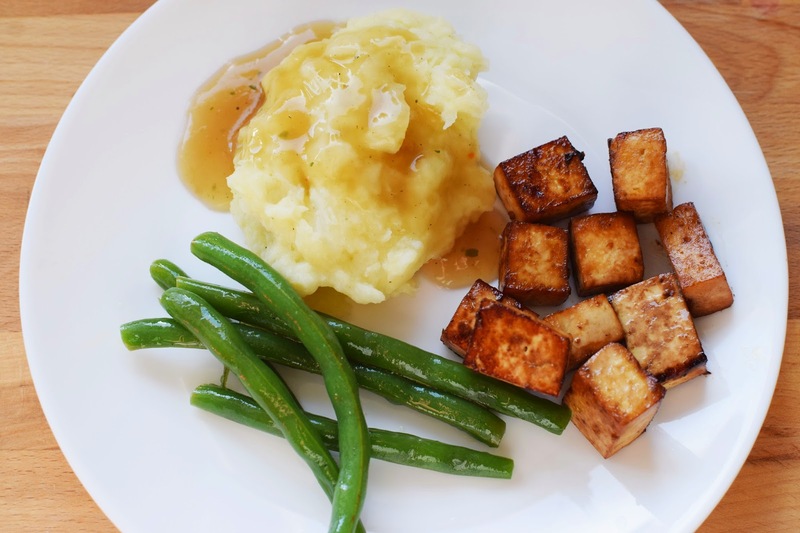 We served it with a simple corn starch gravy, tofu cubes with teriyaki sauce and green beans in a vinaigrette. Another meal that the kids gobbled up with glee was this Orange You Glad I Made Crispy Tofu from Chloe's Kitchen (which is fast becoming one of my favourite cookbooks). 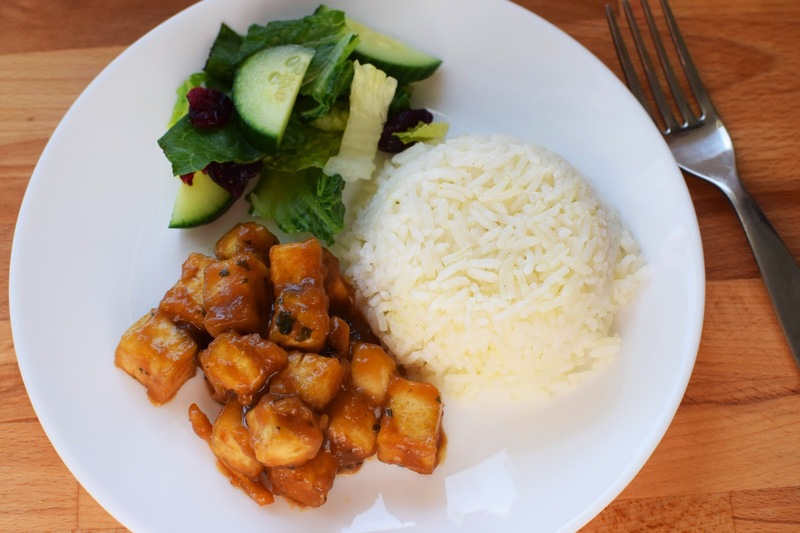 The tofu is coated with a sweet, sticky and delicious sauce made with orange juice, agave and other goodies. My preference for lunch is always warmed up leftovers, but there has been a lack of leftovers lately (probably due to the kids actually enjoying some meals) so I have made a few lunchtime sandwiches. 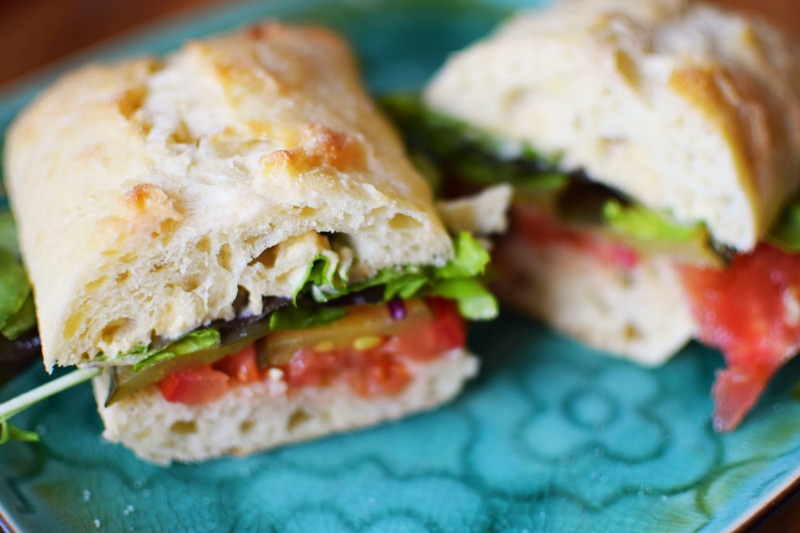 Generally I use a nice bun and top it with tomatoes, pickle slices, hummus and salad greens. 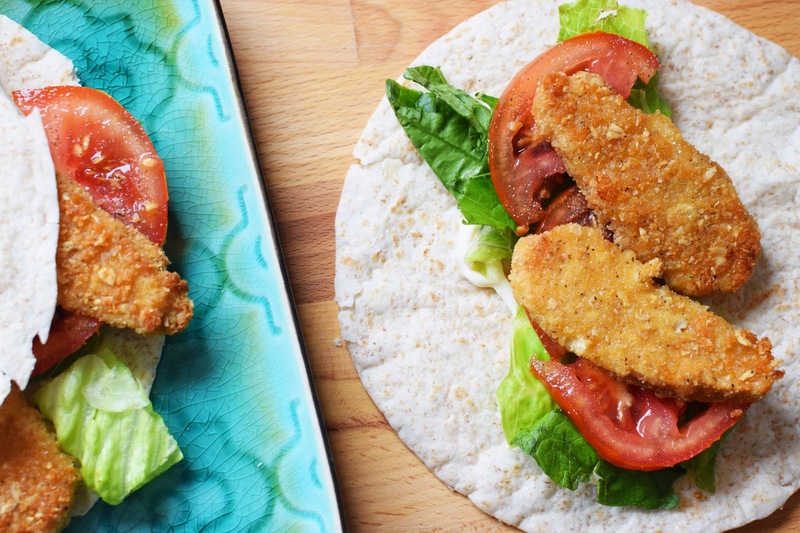 I also made a delicious sandwich (or two) this week using Gardein vegan chick'n, vegan mayo, tomatoes and lettuce on a wrap. 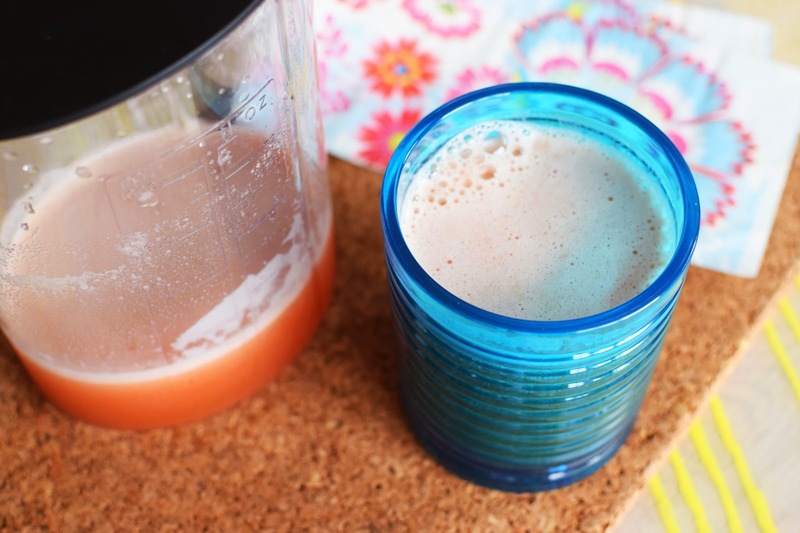 We had a cantaloupe going uneaten in the fridge, so I juiced half of it with a quarter of a watermelon and two oranges for breakfast one day. I'm not likely to go on a juice fast anytime soon. I wasn't really hungry that morning, but I found I was more hungry after drinking the juice. A couple of days ago I made a quick Alphabet Soup from Isa Does It. As you can see, I didn't actually have alphabet pasta. I used medium shells instead. 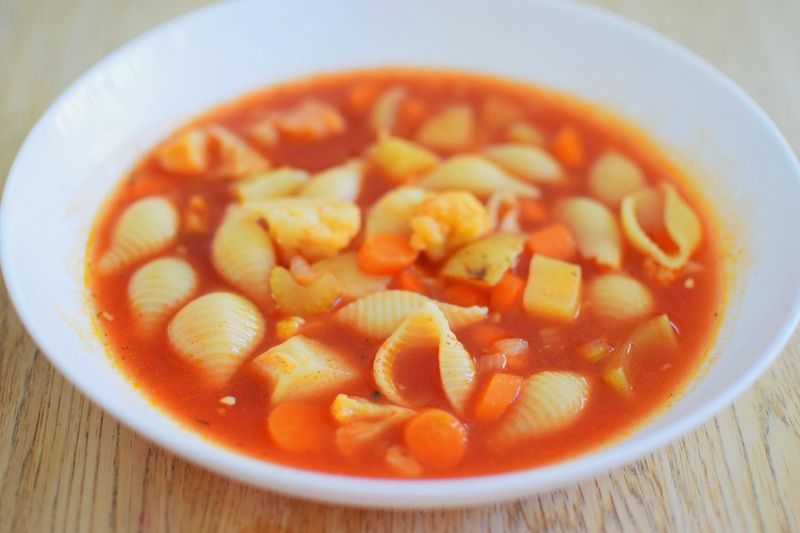 The recipe is easy, calls for simple ingredients and produces a lovely tomato-based soup. We also had some yummy foods for lunch at the Toronto Veg Food Fest on the weekend. On the way home we stopped at Whole Foods and picked up healthy prepared foods for dinner. 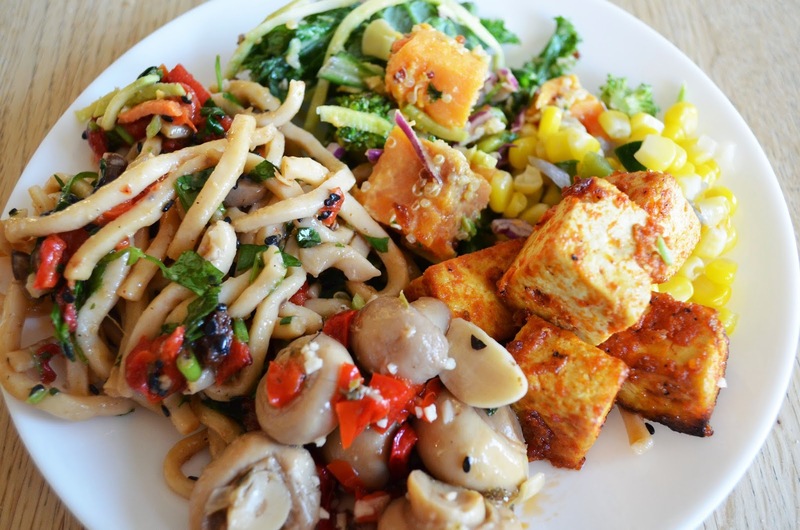 We got tofu and corn from the hot foods bar and noodles, squash & kale salad and marinated mushrooms from the cold food sections. It was a healthy, tasty takeout alternative (although not inexpensive). What are you eating and enjoying lately? I always get ideas from your What I Ate posts so I'm going to brave those mashed cauli-potatoes for a MoFo experiment ;) Thanks for mentioning my blog! Your tofu dishes look awesome. I rarely add much flavor to line and just stir fry it... I'm going to give that link a try.